The fate of the universe strongly depends on a factor of unknown value: Ω, a measure of the density of matter and energy throughout the cosmos. If Ω is greater than 1, then space-time would be “closed” like the surface of an enormous sphere. If there is no dark energy, such a universe would eventually stop expanding and would instead start contracting, eventually collapsing in on itself in an event dubbed the “Big Crunch.” If the universe is closed but there is dark energy, the spherical universe would expand forever. Alternatively, if Ω is less than 1, then the geometry of space would be “open” like the surface of a saddle. In this case, its ultimate fate is the “Big Freeze” followed by the “Big Rip”: first, the universe’s outward acceleration would tear galaxies and stars apart, leaving all matter frigid and alone. Next, the acceleration would grow so strong that it would overwhelm the effects of the forces that hold atoms together, and everything would be wrenched apart. If Ω = 1, the universe would be flat, extending like an infinite plane in all directions. If there is no dark energy, such a planar universe would expand forever but at a continually decelerating rate, approaching a standstill. If there is dark energy, the flat universe ultimately would experience runaway expansion leading to the Big Rip. Regardless how it plays out, the universe is dying, a fact discussed in detail by astrophysicist Paul Sutter in the essay from December, 2015. What is the fate of the universe? I don’t know. But I do know that the density parameter omega Ω is a red herring. It’s the average matter-energy density of the universe divided by a “critical” density for the Friedmann universe. Alexander Friedmann was a ballistics instructor on the Austrian front. He modelled the expanding universe as something like a cannonball fired aloft. See John Peacocks’s cosmological physics for an example: “the dynamics of the entire universe are the same as those of a cannonball fired vertically against the Earth’s gravity. Just as the Earth’s gravity defines an escape velocity for projectiles, so a universe that expands sufficiently fast will continue to expand forever. Conversely, for a given rate of expansion there is a critical density that will bring the expansion asymptotically to a halt”. It’s totally wrong of course. Gravity doesn’t stop the universe expanding. A gravitational field is akin to a pressure-gradient in space. It makes matter fall down, but it doesn’t make space fall down. You can tell it’s wrong because Big Bang cosmology is said to be balanced on a knife edge, such that the density of the universe is incredibly close to the critical density. That’s just a re-heat of Einstein’s greatest blunder, wherein a slight increase in density would trigger contraction, and a slight decrease would trigger expansion. It’s also wrong because the 1998 supernova observations didn’t match any of the cannonball trajectories. They didn’t measure the expansion slowing down, they measured it speeding up. Like the ascending light beam speeds up, because the speed of light is spatially variable. Unfortunately people like John Moffat and João Magueijo and other VSL guys said the speed of light in the universe is slowing down, not speeding up. Unfortunately the Friedmann equations feature not just a fixed c, but a curvature k. Even though a gravitational field is a place where the speed of light varies because space is ”neither homogeneous nor isotropic”. Not a place where space is curved. So why would anybody think that space was somehow curved on a grand scale? Sadly it’s because my hero Einstein came up with it instead of an expanding universe. A universe that’s expanding because it has a quality that Schrödinger called cosmic pressure. That means Ω doesn’t much matter. Nor does the Big Crunch. That’s never going to happen, because we don’t live in some Chicken-Little world where space is falling down. That means the Big Bounce is never going to happen either. The Big Freeze sounds far more likely. It’s my favourite, because it reminds me of Isaac Asimov’s story the last question, which still brings a tear to my eye. But I have a hunch the Big Rip could be the winner. 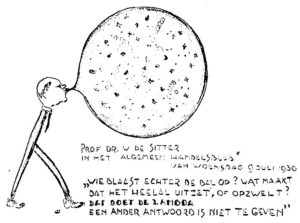 I say that because as per the de Sitter cartoon, the universe can be likened to a bubble-gum balloon in vacuum. As the balloon expands, the skin gets thinner and weaker, and less able to resist the expansion. So it expands further, so the skin gets weaker, and so on. In similar vein I think the “strength of space”, which is mentioned on page 5 of Mordehai Milgrom’s MOND paper, is reducing. This fits with what I know, as does the fact that bubblegum balloons sometimes end badly. Like the way life always ends. Badly. In tears. Perhaps there’s a big rip heading our way as I speak. That would be curtains for us. The fat lady will sing. But then what? Like I said, I don’t know. So what is the fate of the universe? Pass. In the strange realm of electrons, photons and the other fundamental particles, quantum mechanics is law. Particles don’t behave like tiny balls, but rather like waves that are spread over a large area. Each particle is described by a “wavefunction,” or probability distribution, which tells what its location, velocity, and other properties are more likely to be, but not what those properties are. The particle actually has a range of values for all the properties, until you experimentally measure one of them — its location, for example — at which point the particle’s wavefunction “collapses” and it adopts just one location. [Newborn Babies Understand Quantum Mechanics] But how and why does measuring a particle make its wavefunction collapse, producing the concrete reality that we perceive to exist? The issue, known as the measurement problem, may seem esoteric, but our understanding of what reality is, or if it exists at all, hinges upon the answer. Correct. Particles don’t behave as tiny balls. They behave like waves that are spread out over a large area, because that’s what they are. A photon is a wave in space. A seismic wave in the ground isn’t some localised billiard-ball thing, and nor is a photon. However a photon is something you can wrap up into a closed spin ½ path. We do this in gamma-gamma pair production to create the thing we call an electron, or a positron. The electron isn’t some billiard ball that has a field. Field is what it is. Standing wave, standing field. There is no evidence that the electron is small. Brodsky and Dell said if the electron is a composite system it must be simultaneously light in mass and small in spatial extent. But there’s no evidence that the electron is a composite system, so it’s a non-sequitur to say it’s small. 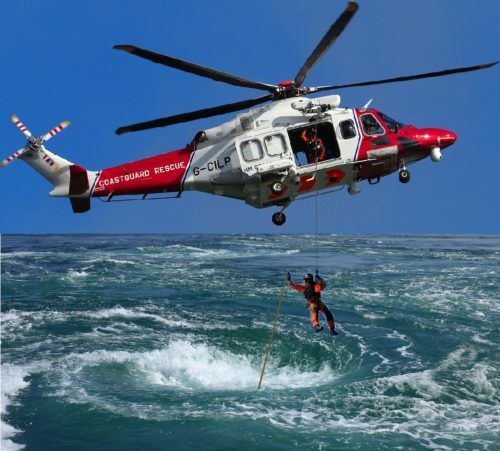 That’s like hanging out of a helicopter probing a whirlpool with a bargepole, saying “I can’t feel the billiard ball, so it must be tiny”. In similar vein there is no evidence that the wavefunction is a probability distribution for locating a point-particle. Au contraire, the evidence provided by weak measurement says wavefunction is real. See the secret lives of photons revealed featuring work by Aephraim Steinberg et al, and catching sight of the elusive wavefunction featuring work by Jeff Lundeen et al. As for wavefunction adopting one location, what’s the problem? A wave in space adopts one location when you focus it with a lens, performing an optical Fourier transform. So it’s clear enough that in the double slit experiment, the electron goes through both slits, because it’s the wave nature of matter. But when you detect the electron at the screen, you perform something akin to an optical Fourier transform on it, converting it into something pointlike. Then when you detect the electron at one of the slits, you perform something akin to an optical Fourier transform on it, so you convert it into something pointlike. So it goes through that slit only. So the interference patterns disappears. So what’s the problem with the measurement problem? The problem is that the Copenhagen quacks dismissed what Pascual Jordan said in 1925 about quanta being waves, dismissed what Erwin Schrödinger said in 1926 about electrons being those self-same waves in closed paths, and dismissed what Robert Oppenheimer said in 1930 about the problem of infinities. Instead they promoted a surpasseth all human understanding mysticism that expressed amazement that a point-particle could go through both slits at the same time. Then they started pushing the many-worlds multiverse, and abusing Schrödinger’s cat to peddle quantum magick. So they missed the trick that measurements collapse quantum wavefunctions because waves in space do what they say on the tin. They make other waves in space change direction. Just like a lens. When physicists assume all the elementary particles are actually one-dimensional loops, or “strings,” each of which vibrates at a different frequency, physics gets much easier. String theory allows physicists to reconcile the laws governing particles, called quantum mechanics, with the laws governing space-time, called general relativity, and to unify the four fundamental forces of nature into a single framework. But the problem is, string theory can only work in a universe with 10 or 11 dimensions: three large spatial ones, six or seven compacted spatial ones, and a time dimension. The compacted spatial dimensions — as well as the vibrating strings themselves — are about a billionth of a trillionth of the size of an atomic nucleus. There’s no conceivable way to detect anything that small, and so there’s no known way to experimentally validate or invalidate string theory. There is no evidence whatsoever to support the assumption that elementary particles are one-dimensional loops or strings. It’s the wave nature of light, not the loop nature of light. It’s the wave nature of matter, not the string nature of matter. We have evidence for this wave nature from diffraction and refraction experiments such as the Thomson and Reid diffraction experiment and the Aharonov–Bohm effect. The latter was originally predicted in Ehrenberg and Siday’s 1949 paper The Refractive Index in Electron Optics and the Principles of Dynamics. Whilst a one-dimensional string is better than a zero-dimensional point, and whilst the idea of open and closed paths can be applied to light and matter, string theory just isn’t based on any understanding of the fundamental physics. There’s no understanding of what the photon is, or how pair production works, or what an electron Is. Hence string theorists propose a selectron on specious grounds of symmetry because they don’t know that an electron is a 511 keV photon in closed spin ½ path. They claim to unify the forces but they don’t even know how gravity works. Instead they’ll tell you that some of their vibrating strings are gravitons, not realising that quantum gravity is a castle in the air. They don’t know how a magnet works either. Because they don’t know about the screw nature of electromagnetism. Instead they’ve spent 45 years in some 11-dimensional la-la land waxing lyrical about branes and compacted dimensions which can never be validated by experiment. Is string theory correct? No. It’s not even wrong. It is the epitome of lost in maths. Note however that it isn’t really the trouble with physics. That’s the Standard Model, which is one for another day. Physicists can’t exactly solve the set of equations that describes the behavior of fluids, from water to air to all other liquids and gases. 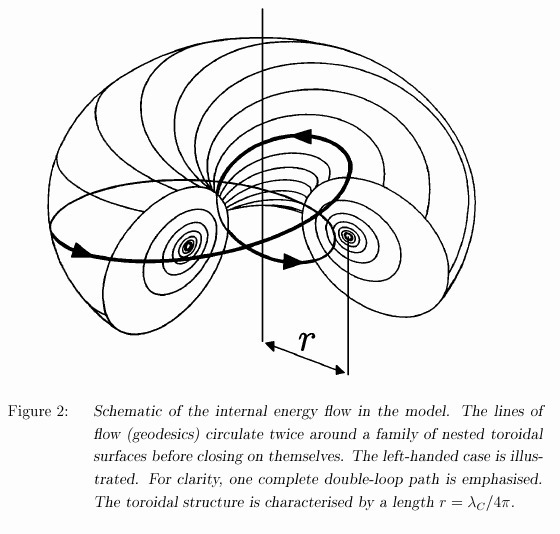 In fact, it isn’t known whether a general solution of the so-called Navier-Stokes equations even exists, or, if there is a solution, whether it describes fluids everywhere, or contains inherently unknowable points called singularities. As a consequence, the nature of chaos is not well understood. Physicists and mathematicians wonder, is the weather merely difficult to predict, or inherently unpredictable? Does turbulence transcend mathematical description, or does it all make sense when you tackle it with the right math? In fact there’s two, that’s why it’s a spin ½ particle. 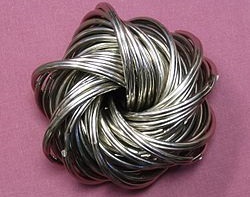 That’s why it goes round in circles in a uniform magnetic field. Because it’s a dynamical “spinor”. That’s why none of this stuff is inherently unknowable. There is no need to shut up and calculate. So once you’ve grown tired of trying to model the weather, you might prefer trying to model photons and electrons and pair production instead. It will be a whole lot easier, and you’d be bringing some order to the chaos called fundamental physics. A trip to Stockholm awaits.